Apple Watch is generally very stable and rarely needs to be rebooted or restarted, but sometimes it can become stuck, frozen, unresponsive, or a feature of Apple Watch may stop working as intended. Typically if those situations arise, you can get Apple Watch back to working order again by issuing a forced restart of the device. 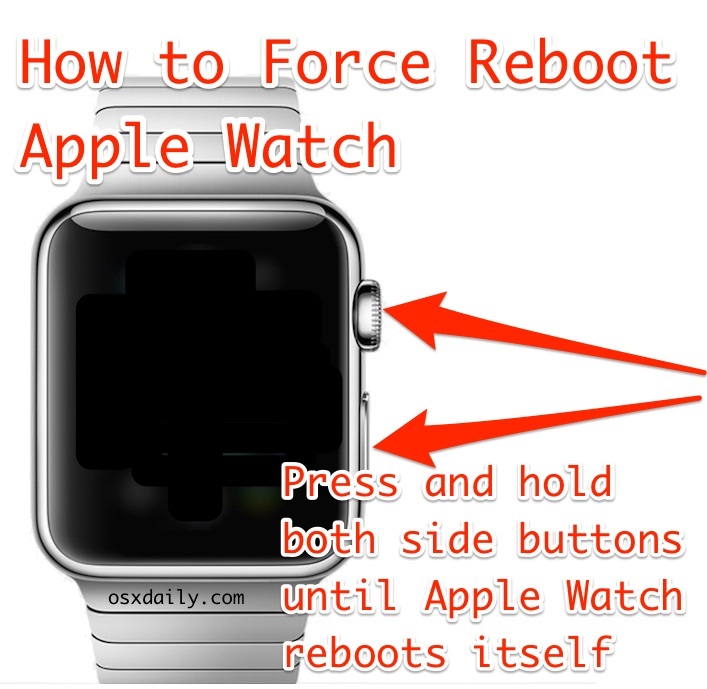 Forcibly restarting an Apple Watch is similar to the force reboot mechanism on other iOS devices like iPhone and iPad in that you hold down device buttons until the device shuts itself off and turns itself back on again. The side buttons are the digital crown (the wheel), and the power button, both must be pressed and held simultaneously to forcibly restart the Apple Watch. If you don’t hold them down long enough you’ll end up screenshotting Apple Watch instead, which is not what you want to do in this case. Force restarting Apple Watch can be necessary to get features working again that have stopped out of the blue, the first time I had to do this was when the heartbeat BPM monitor randomly stopped working, and another time when the device screen became completely unresponsive for no obvious reason. Some of the causes which require a forced restart are almost certainly to be software related, meaning that maintaining updates of Watch OS software are sure to resolve issues that are bug related. This guide seems really helpful in fixing the issues with the Apple watch. This piece of technology appears to be truly sophisticated and complex yet simple enough for causal wear. I wonder how heavy the watch itself is? The idea of every waking moment being tethered to a wrist bound device with a minuscule screen seems inordinately intrusive and annoying. Is it possible to place certain functions on pause? With a force restart? No. 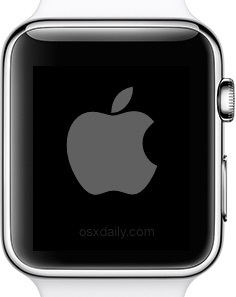 But yes of course you can pause, stop, start, or adjust Apple Watch functions, it’s a device that is customizable. There is a large settings menu on the device, and a settings app on the iPhone it pairs with. No amount of force restarting the Apple Watch is going to do that for you, Force Restart is intended for a crashing or problematic device, stuck on something, not to stop a feature from doing what it should do.